Iceland is a land of extreme contrasts. Vast, desolate lava fields are interrupted by lush, moss-carpeted valleys. Giant cascading waterfalls give way to vibrantly colored rhyolite mountains. 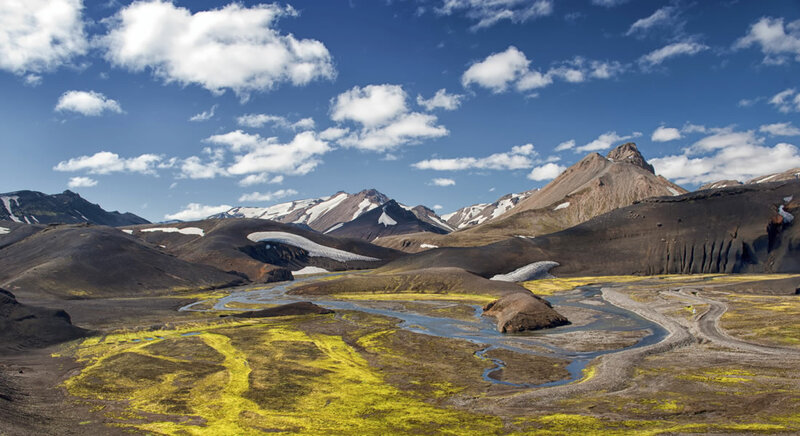 From the otherworldly landscapes of the south coast, to the mystical power of the central highlands, our overland expedition takes in the most beautiful and inspiring areas of Iceland. Hikes on the south coast lead us through fairytale scenery; past dramatic waterfalls, floating icebergs, and some of Europe’s largest glaciers. A kayak excursion, cultural connections, and an optional ride on an Icelandic horse round out our adventure. Along the way, we spend a day in the interior highlands of Landmannalaugar hiking along colorful mountains — an experience not to be missed. Testaments to the constantly evolving earth are everywhere — lava fields, hot rivers, craters, and glaciers dominate our views. 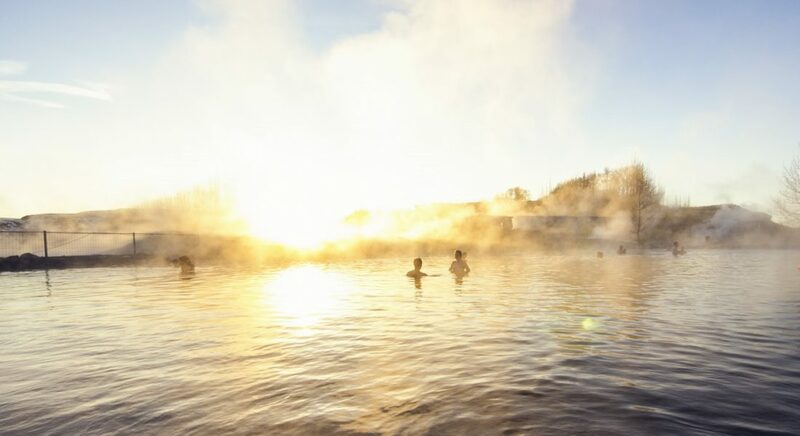 In the evenings, we return to comfortable accommodations and enjoy relaxing in "hot pots" (Icelandic hot tubs), or taking a nighttime stroll under the midnight sun. Like visiting a different planet! Upon meeting our guide in Reykjavík after breakfast, we begin our drive to Gjáin valley, a fairy-tale world where two river channels cascade over waterfalls and lava formations. We will hike, explore craters and lava caves, and see wellsprings. We will also visit Hjalparfoss, a unique double waterfall, and Háifoss, one of the tallest waterfalls in Iceland where the water cascades a mesmerizing 400 ft.
At day's end we transfer to our countryside hotel, where you may choose to enjoy views of Mount Hekla from the outdoor hot tub. Dinner will feature traditional Icelandic cuisine based on ingredients from local farmers and fishermen. 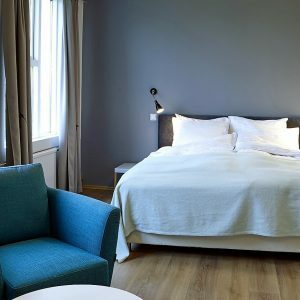 Situated near some of the country’s most stunning sights including volcanoes Eyjafjallajökull and Fimmvörðuháls, Fosshotel Hekla is the perfect base for our stay in Iceland’s southern countryside. Enjoy a meal at the on-site restaurant Faxi, which uses produce hand-delivered by local farmers, and retreat to your cozy room at night. Gaze up the midnight sun from the hotel’s hot tub. Today we venture into the Icelandic highlands of Landmannalaugar for a day of hiking. The highland roads are unpaved, and if conditions permit, we take the fjallabak (literally, "route behind the mountains") to Landmannalaugar, an area of multicolored rhyolite mountains and hot springs. Along the way we stop at the Sigöldufuss waterfall and a crater lake called Ljótipollur. Despite the name, which translates to "Ugly Puddle" in Icelandic, expect vivid colors amidst lava sand. At Landmannalaugar, we find one of the largest geothermal fields in Iceland and an otherworldy landscape of rough lava, obsidian, and moss as we hike. A transfer south leads to our accommodations for the next two nights, at the cozy and welcoming Hrifunes Guesthouse. 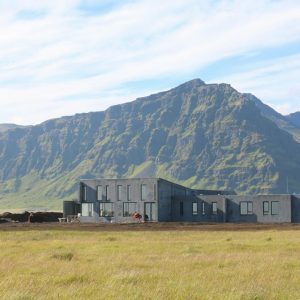 Situated on unspoiled farmland of the Skaftartunga region, the Hrifunes Guesthouse is surrounded by glaciers, black sand, and green pastures. Originally built in 1947 as a restaurant and community center, owners Hadda and Haukur restored the building in 2007 to be a cozy, 12-room guesthouse. After breakfast, we drive across Skeiðarársandur, a vast river delta formed by runoff from nearby glaciers. Catastrophic flooding occurs here regularly, as geothermal activity melts the glaciers, causing a tremendous amount of water to flood the plain. Across the delta is Vatnajökull National Park, home to Europe's largest glacier, whose presence lords over the surrounding landscape. Our first stop this morning is a visit to the spectacular Jökulsárlón glacier lagoon. Watching icebergs float down the lagoon and into the ocean is mesmerizing. From here, we continue on to a more remote glacial lagoon for an intimate kayak excursion. 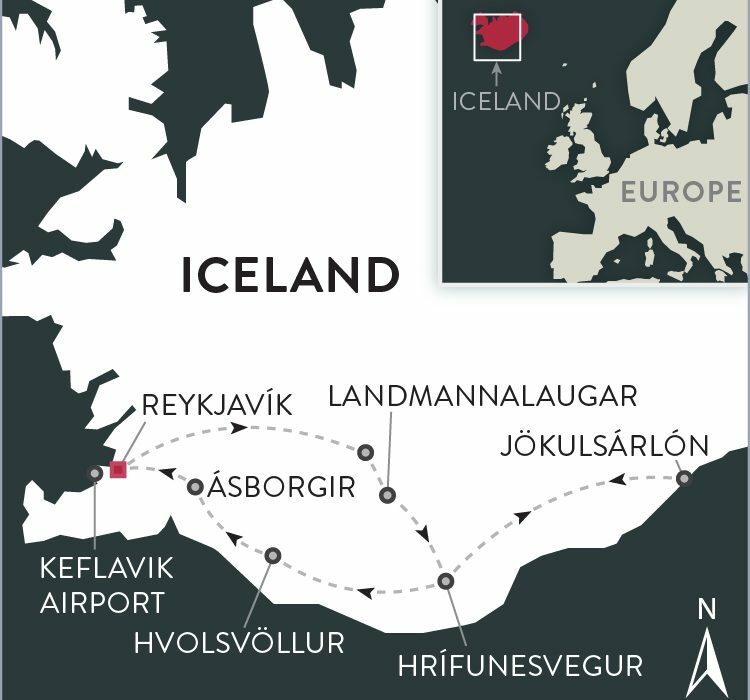 This is the perfect place to experience unspoiled nature and the unique environment of Iceland, where icebergs calve off the largest glacier in Europe, the great Vatnajokull, and float around the lagoon in all shapes and colors. This afternoon, we visit a nature reserve located at Ingólfshöfði. This area is known for its incredible birdlife, especially its puffins. These comical waterbirds are a delight to watch, and the farmer gives us a ride on his tractor to an isolated headland, where we can hike in their midst. 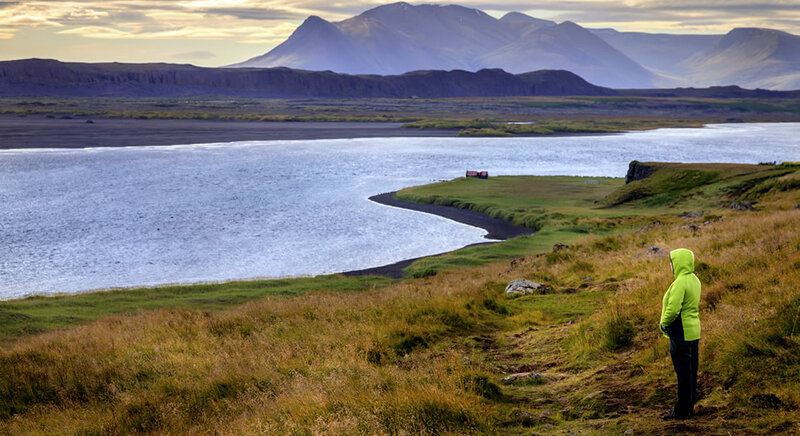 This remote cape, surrounded by black sand beaches, is also the place where Iceland's first settler, Ingolfur Arnarson, spent his first winter in Iceland in 874 A.D. If your tour takes place later in the summer, when the puffins have left Ingólfshöfði, we'll instead visit Vatnajökull National Park for a hike at the base of Europe's largest glacier. Our walk begins from the park's visitor center and steadily climbs up through birch forest to a plateau. Here, the landscape turns into tundra, and the views are magnificent in all directions. We then return to our hotel, with time to freshen up, before enjoying a dinner of Icelandic specialities. This morning we hike along Fjaðrágljúfur canyon, hollowed out over millions of years by the Fjaðrá River. We follow the eastern edge, which offers stunning views of the plains and glacial brooks below, before descending through moss-covered rock formations to the floor of the canyon. In the afternoon we travel to Þakgil, an expansive valley surrounded by dramatic mountains. We will explore the trails in this breathtaking area, before traveling to our boutique accommodations located at the foot of the famous Eyjafjallajökull volcano. 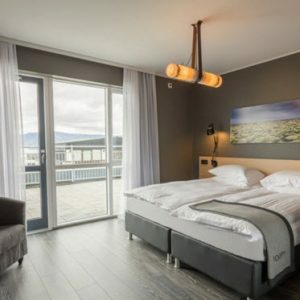 UMI hotel offers a first class restaurant with a unique view of the Westman Islands and the southern coastline, as well as a lounge bar with a view of the famous subglacial volcano Eyjafjallajökull and the beautiful mountain terrain surrounding it. Next to the hotel the river Svaðbælisá peacefully flows by. This morning we see the impressive Skógafoss waterfall, a 200-foot-high cascade that often produces rainbows in its mist. For those in the mood for a more substantial hike, we can ascend a 370-step staircase to the top of the falls, and continue along the Skogá River. We pass many beautiful waterfalls and on a clear day, we can see the coastline and Eyjafjallajökull and Myrdalsjökull glaciers in the distance. This is true Icelandic wilderness on the heath. Close to Skogafoss is the waterfall Kvernufoss—a secret, lesser-known jewel nearly 100 feet tall. We hike into the gorge, a short hike with a few scrambling sections, and enjoy this hidden beauty. After lunch, we continue to Eyjafjallajökull massif. From its eastern face, the Sólheimajökull glacier tongue extends from its parent glacier, Mýrdalsjökull, Iceland's fourth largest. 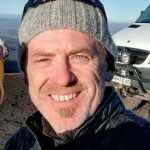 Here, we meet our Icelandic mountain guide, who equips us with the proper tools (crampons and ice axes) for an adventure on an active glacier. After instruction on the proper use of our equipment, we traverse the glacier onto an ice field, where a wonderland of ice sculptures, ridges, and deep crevasses await our discovery. En route back to our hotel we stop at Reynisfjara beach, with its black volcanic sand, smooth pebbles, and unique rock formations, A late day walk on the beach, will allow us to take in this beautiful sight at a quieter time, when we can hear the waves crashing on the shore. This evening we have the option to ride Icelandic horses (at additional expense). These friendly horses have been selectively bred for centuries to produce an animal that is even-tempered and strong, with great endurance. They also have a very smooth gait—the tölt—which makes riding them a wonderfully comfortable experience, even for beginners. This morning we explore some of Iceland's most well known sites beginning with Gullfoss, or the "golden falls." This impressive cascade drops over a series of tiers into the Hvitá canyon, and its volume of water makes it one of the largest falls in Iceland. From Gullfoss, we continue a short drive to the "Great Geysir," believed to have been created around the end of the 13th century when a series of strong earthquakes shook the Haukadalur Valley. We next visit Akur organic farm. Here, we have a chance to meet the farmers, learn about their biodynamic practices and growing in Iceland, and see their three greenhouses. Thanks to geothermal heat, they are even able to grow tropical fruits like bananas and mangoes! Of course, we will sample some of what is in season while we are there. Our day concludes with a visit to Thingvellir, a national park of great historic significance to the Icelandic people. The park is home to Iceland's first parliament, established in 930 A.D. Each summer, representatives from communities around the country would meet here to establish laws and resolve disputes. The journey could take weeks over the rugged terrain. We traverse the parliament plains, and also explore a natural phenomenon that makes Thingvellir an important geological site — here we are standing on the rift between the Eurasian and North American plates — which are constantly, over the millennia, drifting apart. Evening brings a celebratory dinner in the capital city of Reykjavik, as we reminisce about our adventures in this Nordic island nation. 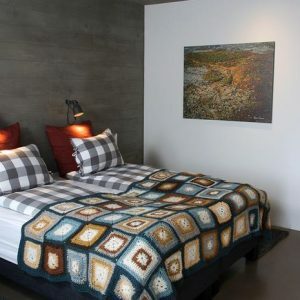 Standing over the harbor, Hotel Egilsen is set in a newly converted historic house in the heart of Stykkisholmur. This boutique 10-room hotel preserves its classic heritage while enhancing it with the best of modern design. Providing intimate lodging, healthy food, a small library, and creative bar menu, rooms are small but bright and stylish. Awake at your leisure this morning, or perhaps rise earlier to do some last minute shopping in downtown Reykjavik. We'll head to the infamous Blue Lagoon mid-morning, where the warm waters beckon us for a soak. A fitting tribute to our stay in the land of fire and ice. Keflavik International Airport is only 15 minutes away from the Blue Lagoon, and we will drive you there in time for your late-afternoon flight. In order to keep our trip price as low as possible, we have based it on the current rate of exchange. If there were to be a significant change in the value of the Icelandic Krona, we may be forced to raise or able to lower our trip cost; if so, your final invoice, sent 90 days prior to your departure, will reflect the difference. Boundless Journeys' trips are designed for energetic and flexible individuals who like to be active and have a spirit of adventure and a positive attitude. Hiking the Land of Fire & Ice is rated 2+, easy to moderate, on a scale of 1-5 (with 5 being the most strenuous). The hikes on this trip are 2-4 hours long, on occasionally rough hiking trails with minimal vehicle support. 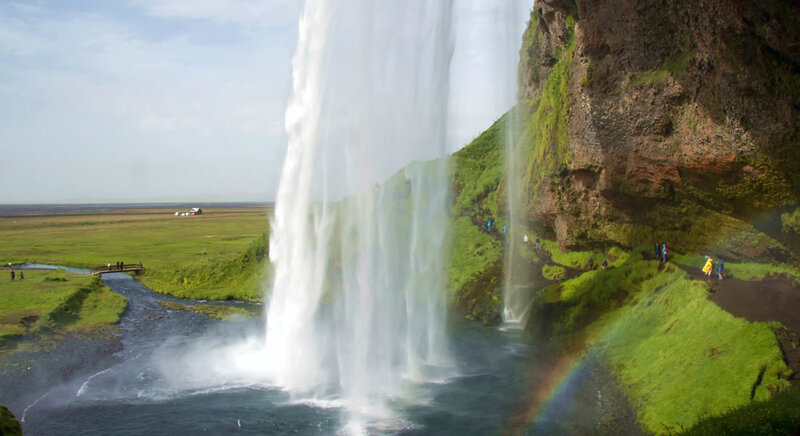 On a couple of days there are elevation gains of about 200-400 feet, and on Day 5 our optional climb to the top of the Skógafoss Waterfall is about a 300 foot ascension on a metal staircase, followed by an easier 400 foot ascent for the remainder of the hike. Because of the nature of the trails, we sometimes hike out and back on the same path. No prior experience is necessary for the kayak excursion on Day 3. Downtown Reykjavik or Keflavik International Airport, Iceland. Your guide(s) will meet you on the first day of your trip at 8 a.m. in the lobby of the Centrum Hotel, Reykjavik. Your guide(s) will provide drop-offs at your choice of downtown Reykjavik locations by noon or the Keflavik International Airport by 2:00 p.m. on the last day of the trip. July and August are among the driest months in Iceland, although weather is still quite variable. You are unlikely to have sunshine every day, but it is also unlikely for it to be cloudy for long. July and August bring near round-the-clock daylight. The following are average temperatures in southern Iceland during the summer months. Summer in Iceland is short, and the best weather is generally from June through September. Early summer brings vibrant greens, 24-hour daylight, and the greatest concentrations of migratory birds. Mid-summer brings wildflowers, and late summer the low-growing plants covering the hillsides begin to change colors in a display that rivals New England foliage. While it is often bright and sunny, cool, wet weather is possible any time of year. Riding is a favorite pastime of many Icelanders, and the Icelandic horse is an ideal breed for novice and experienced riders alike. The terrain is varied, and there are horses suitable for all levels. Your riding guide will ask you about your previous experience before choosing your horse. Helmets are provided and boots with a low, square heel are required (your hiking boots should suffice). Please discuss this with your guide on Day 1 if you'd like to take part in this activity, as it will be offered once throughout your journey. The cost is approximately $65 per person for a one-hour ride and can be paid directly to the supplier. Please note, prices are subject to change due to currency fluctuation. 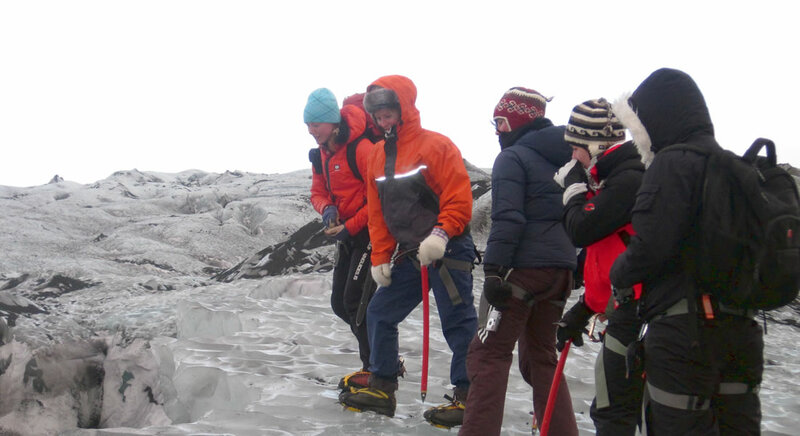 A half-day glacier walk is included, weather permitting. All necessary equipment is provided, including crampons and ice axes. Boots are available for rental, although your hiking boots should suffice. The Icelandic mountain guides we will hike with are experienced mountaineers with a great deal of knowledge about glaciers and safety procedures. After being fitted with gear and a safety briefing, we head onto the ice itself for a unique perspective on the importance and beauty of glaciers. If the weather makes this adventure unsafe, a traditional hike will be offered instead. Although Iceland is a relatively small country, the distances from one place to another are sometimes long, due to actual miles covered or, in some cases, the conditions of the road. We have tried to strike a balance between the importance of experiencing certain unique places - such as Jökulsárlón Glacier Lagoon and the interior highlands of Landmannalaugar - and the importance of taking time out of the vehicle to hike, explore, and immerse ourselves in the country's diverse landscapes. On a few days, there may be total driving times of up to five hours; but rest assured that they are well broken up with opportunities to explore, and that both the drives and the destinations are well worth the effort. Menus in Iceland generally feature a choice of meat (often lamb) and fresh fish (many varieties of both fresh and saltwater fish are available, the most common being salmon and trout). Some menus are more extensive. Icelandic cuisine has come a long way, and many chefs train in mainland Europe before bringing their skills home to create innovative dishes using native ingredients. It is common even for small hotels to offer meals buffet-style, as this allows travelers to try traditional local dishes alongside more familiar fare. Vegetarians can be accommodated with advance notice, though choices tend to be more limited. Snorri was born and raised in Iceland and has been traveling around his country since he was a young boy. He left his 25-year career in marketing and sales to pursue a career in guiding. Snorri is passionate about traveling, hiking, and the unspoiled nature of his homeland. He also has a great interest in the geology and history of Iceland, and he has a knack for storytelling. Last, but definitely not least, Snorri is a family man, with four children and one grandson. Snorri’s knowledge and enthusiasm, along with his ability to connect with and read his group of travelers make him an exceptional guide. Guests often remark that they felt they were traveling with a friend! Boga has been involved with Icelandic tourism for over 20 years. She has a passion for her country, but also loves to experience new places. Boga is a true adventurer—ocean swimming for several years, traveling the country on a motorcycle, and hiking mountains. 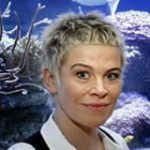 Her other interests include her family, running, kayaking, and all kinds of sea sports. She has set a goal for the year of her 55th birthday to kayak 55 lakes in Iceland, as she hiked 45 mountains the year of her 45th birthday! Boga’s upbeat nature, energy, and knowledge of Iceland adventure portals make her a valued member of our guiding team. Snorri was born and raised in Reykjavík, where he studied classical singing. He graduated with a diploma as an opera singer from the Vienna Conservatory. Upon completion of his studies, he worked for several years as an opera singer, primarily in Germany and Austria. 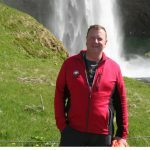 Snorri returned to Iceland and began working as a guide in 2010. 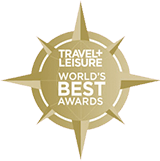 He is certified to guide group tours, hiking adventures, and glacier explorations. He enjoys every opportunity to take guests into the mountains and to remote, off-the-beaten-path areas of Iceland where they can experience the beautiful landscapes together.